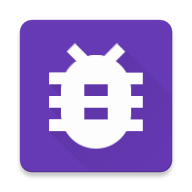 An Android library that improves the StrictMode reporting. Head-up Notification of StrictMode violations. Custom Actions that called when StrictMode violations is happend. 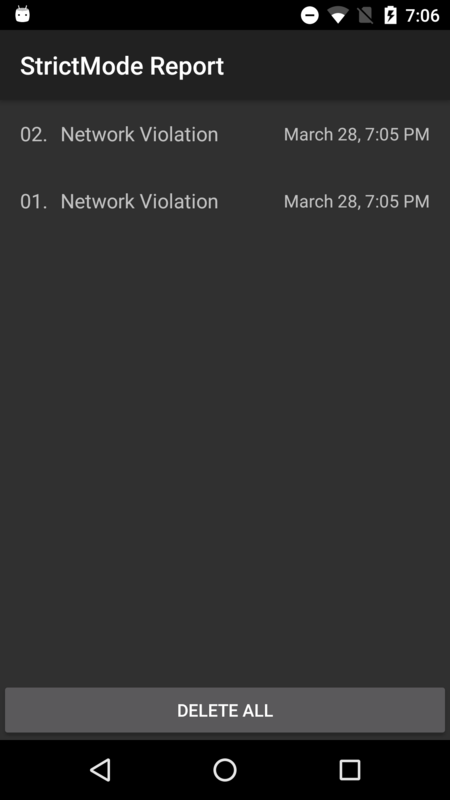 Violation History Viewer that automatically installed. strictmode-notifier starts logcat command in backgound thread, and infinitely reads the log from logcat. 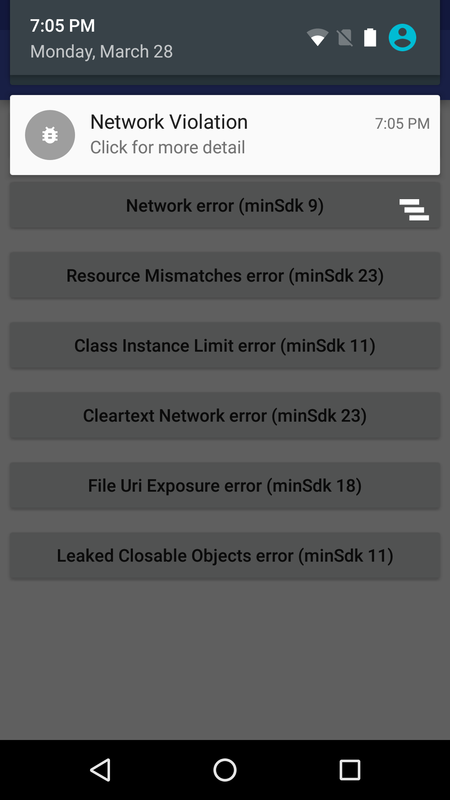 If StrictMode violation is happend, error logs is outputed. strictmode-notifier reads that log via logcat, and shows a notification of the violation. 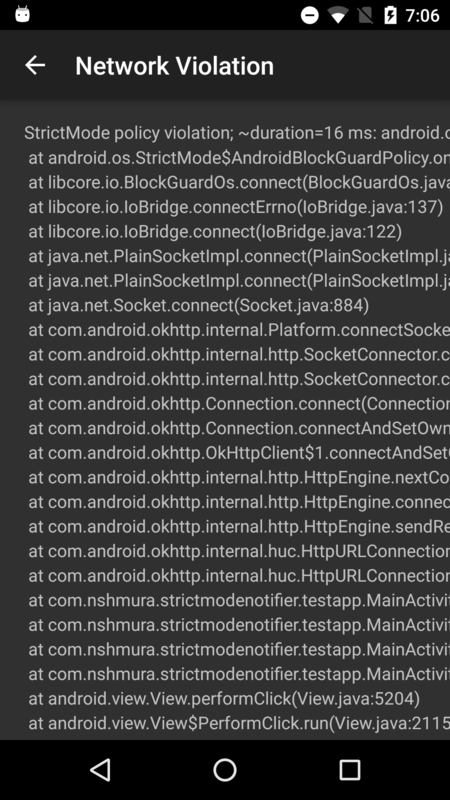 // ex) ignore LEAKED_CLOSABLE_OBJECTS that contains android.foo.bar in stacktrace.